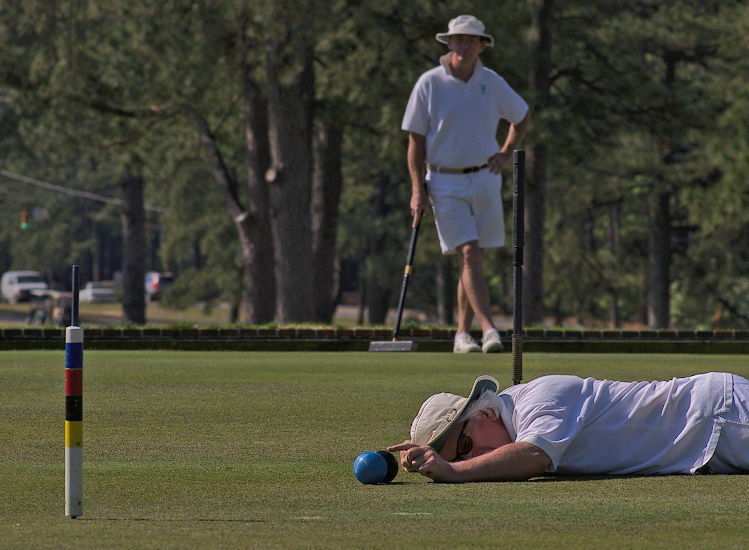 Association Croquet singles at the Pinehurst Resort & Country Club. Entry is open to all players who are current members in good standing of a WCF-affiliated croquet association (such as the USCA, Croq-Can, or the British CA). The entry fee is US$225 per player. This includes USCA sanction fee, an opening reception, and daily lunches. The fee for non-playing guests is US$65. Jeff Soo will be the Tournament Director. Available for players with a World Ranking Grade below 1700 and/or USCA handicap above 2. Entry is first-come, first-served, for up to 8 players. If fewer than 6 entries are received the flight will be canceled. Games will be 26-point advanced play with time limits. Format TBD. Room for 16 players minimum (up to 24 depending on First Flight entry). Through February 15th, entries (other than automatic qualifications) will be allocated by ranking. After February 15th any open spots will be allocated by entry date, to players who meet the minimum requirements (world ranking grade of 1600 or higher, or USCA handicap of 3.5 or lower). The waiting list will work the same way: through February 15th the waiting list will be ordered by ranking; after that the existing order will be fixed and new entries will be added to the bottom by date. Advanced play with no time limits. Super-advanced play is allowed if both players in the match agree. Format will depend on entry size, but will probably begin with a block or Swiss phase leading to a knockout. The Plate (consolation event) will be in the Flexible Swiss or Egyptian format. The format (including time limits) is subject to change without notice. The primary determinant will be World Ranking grade, using the most recent available data. Players without a current World Ranking will be assigned a provisional grade according to the judgment of the tournament committee. The format and conditions for any flight are subject to change without notice.